Disney Frozen Olaf 6V Toddler Quad Just $34.98! Down From $90! PLUS FREE Shipping! You are here: Home / Great Deals / Amazon Deals / Disney Frozen Olaf 6V Toddler Quad Just $34.98! Down From $90! PLUS FREE Shipping! Your kids would surely love this deal! Amazon is currently offering this Disney Frozen Olaf 6V Toddler Quad for just $34.98 down from $89.99 PLUS FREE shipping! 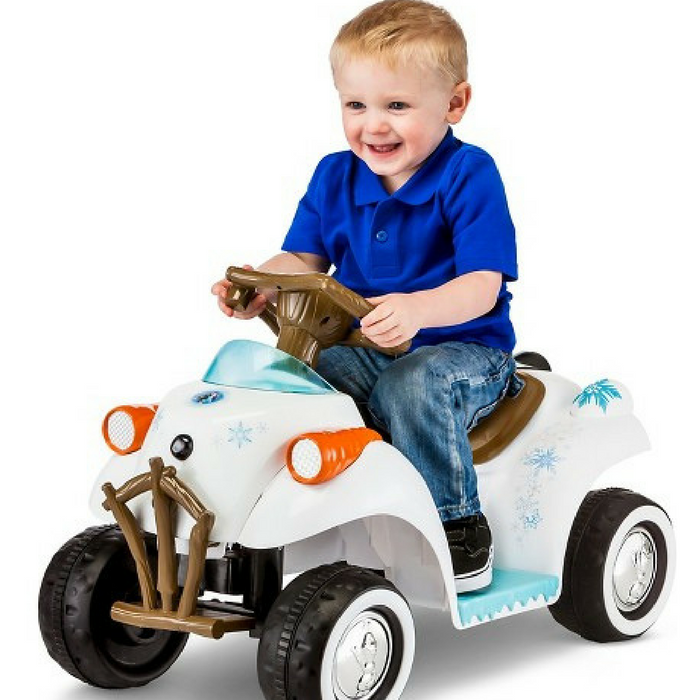 Everyone’s favorite Frozen character finally comes to life with the new Disney Frozen Olaf quad ride-on from kid Trax! Now your little adventurer can pilot countless adventures right alongside Olaf the lovable snowman. The carrot headlights, stick steering and grille and snowflake-spotted body are sure to be a huge hit with your little Frozen fan. Cool down the summer and hop on!